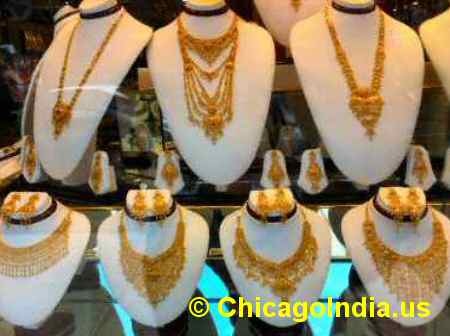 Devon Avenue in Chicago is home to several Indian jewelry stores. 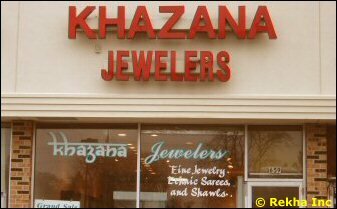 These jewelry stores sell gold biscuits as well as a wide variety of finished gold jewelry, beads, gemstones and silver jewelry. 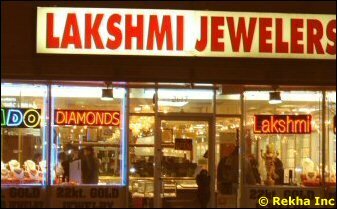 Some of the Chicago Indian jewelers also offer gift items, statues of Hindu Gods like Ganesha, astrological stones and puja items. While weekends are the busiest times for the Indian jewellers here, it's fairly common to see Indian women on weekdays also at these jewelry stores shopping for glittering ornaments for weddings and other festive occasions.